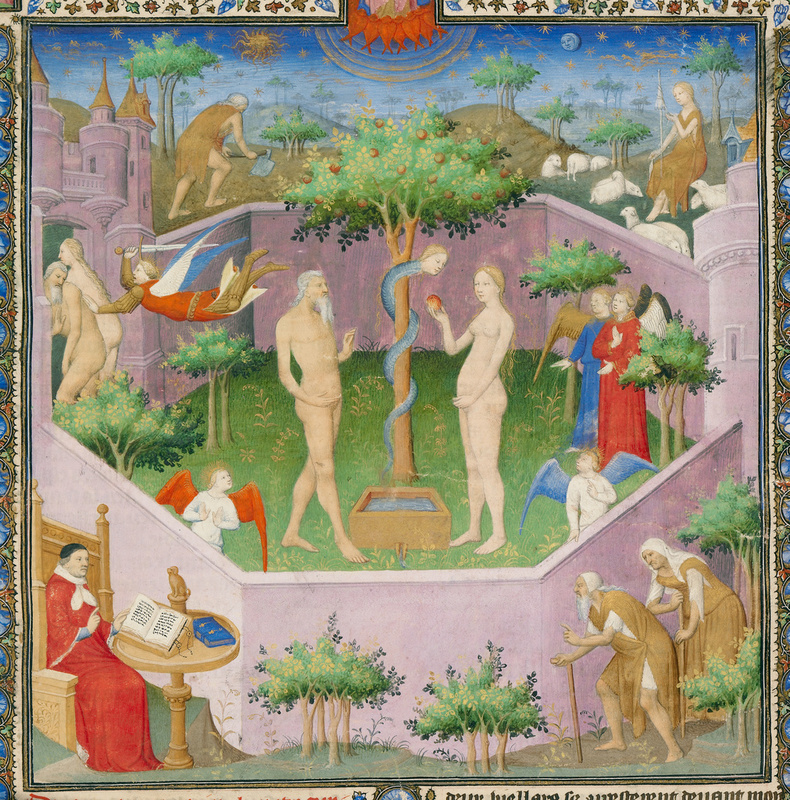 Giovanni Boccaccio began his book, Concerning the Fates of Illustrious Men and Women, with the story of Adam and Eve. The illuminator encapsulated the main events of the biblical tale in his miniature, placing the pivotal event of the Temptation--when Adam and Eve eat the fruit from the Tree of Knowledge--in the center. He then organized a sequence of the subsequent events in their lives around the tall hexagonal walls of the Garden of Eden, beginning at the middle left and proceeding clockwise. Through a gate at the left, the first couple is expelled from the garden; beyond the garden walls, across the top of the page, Adam works his field while Eve spins. 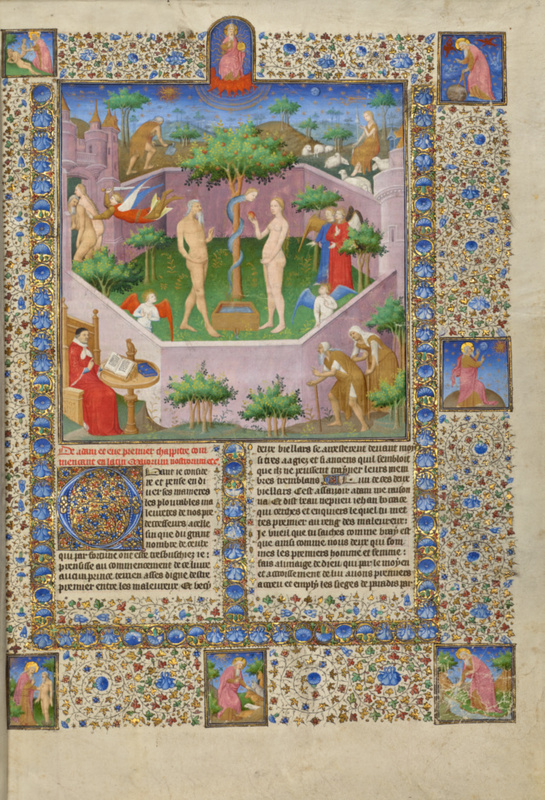 On the lower right, Adam and Eve, now elderly and stooped as part of the punishment for their sin, approach Boccaccio, seated at the lower left, to tell him their story. The elaborate border that encloses both the miniature and the opening lines of the text includes a sequence of painted vignettes depicting the Creation of the World, beginning on the upper right and proceeding clockwise. Though Boccaccio does not mention the Creation, the illuminator, known as the Boucicaut Master, included the medallion scenes to enrich the central image.